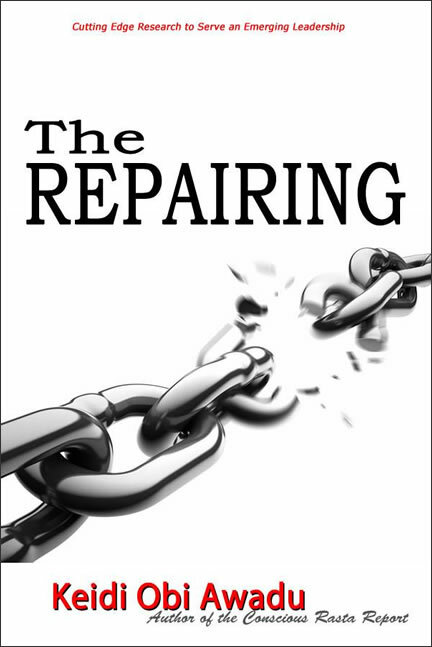 The Repairing -- Within this master blueprint for current and future Reparation, we can assure that our prosperity will expand without limitation. We can create more balanced and harmonic relations within family and community, help our people overcome habits which have led too many of us into chronic poverty, illness and injustice. This plan will further our sense of pride and direct investment in the economic fate of our African homeland, causing Pan African engagement to increase immensely. 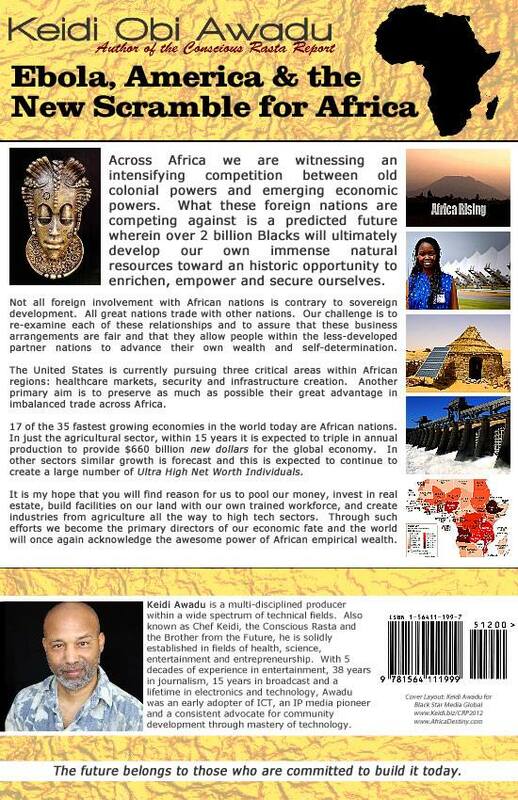 We will gift all black children with a future society will more prosperous than that into which they were born. This is my lifetime tour-de-force. Now we can say with pride, we do have a great plan and it will work. 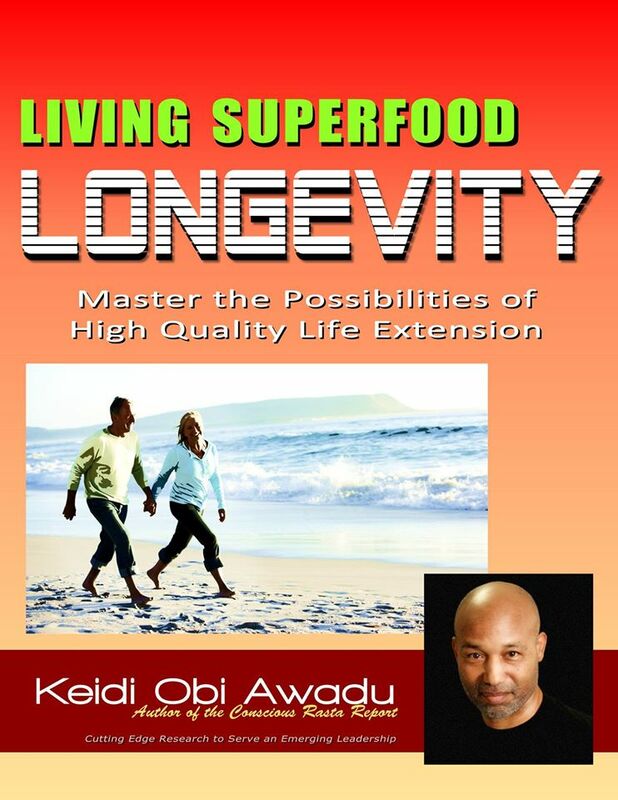 LIVING SUPERFOOD LONGEVITY: Master the Possibilities of High Quality Life Extension - Why do we age? What are the primary controllable factors that can allow us to not only live much longer, but to also enjoy healthy and vital maturation during our senior years? These and so many other questions are answered within this book. This represents a lifetime commitment of not only accessing cutting edge research science on health, nutrition, detoxification and other longevity strategies, but this also shows how our longevity is the most natural state of human evolution. Yet, not all people are moving in this direction and the consequences of so many poor choices is sending too many of us to the grave prematurely. We are really proud of the tremendous work that went into this book. You are now able to take this science to practical application toward the aim of high quality life extension. Click the Add to Cart button below to get the print edition for $14.99 & $4 postage. 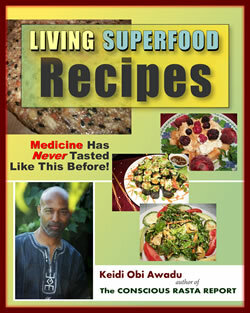 Click the following link to get Living Superfood Longevity in print. eBook $7.99 . 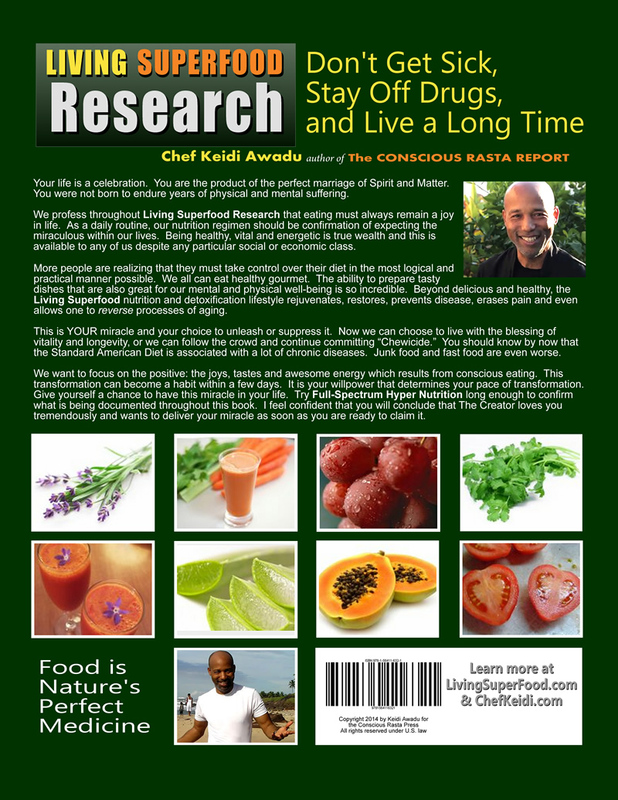 Click for the eBOOK . 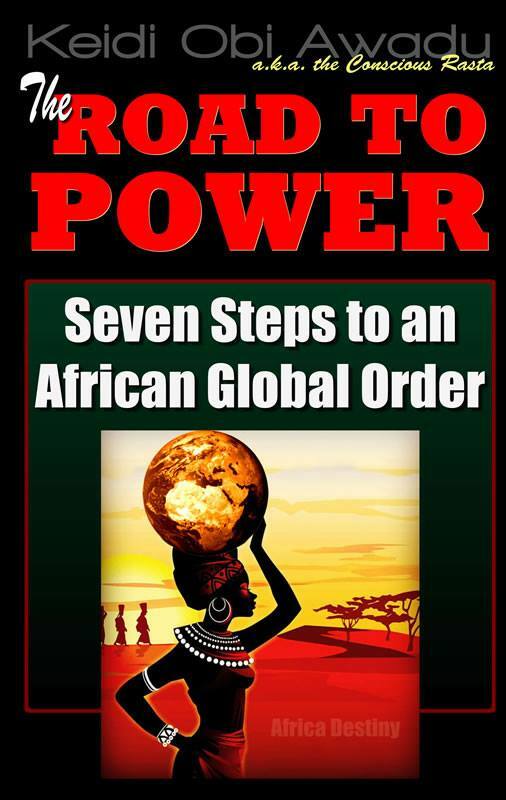 The Road to Power: Seven Steps to an African Global Order - This classic research by Keidi Obi Awadu lays out a comprehensive plan to create a dynamic global movement to empower African people. Much background is shared to demonstrate a proper foundation for our construction. The plans are detailed, timely and technically savvy. The Seven Steps are based upon a century of historical analysis, take us through the turbulence of recent decades of intense struggle, and lead into a changing world futuret. This is a Master Plan that has proven to embolden and empower all who would commit to carrying out such strategies. CRP-018 (eBook $10 / Print edition $14.99 & postage). 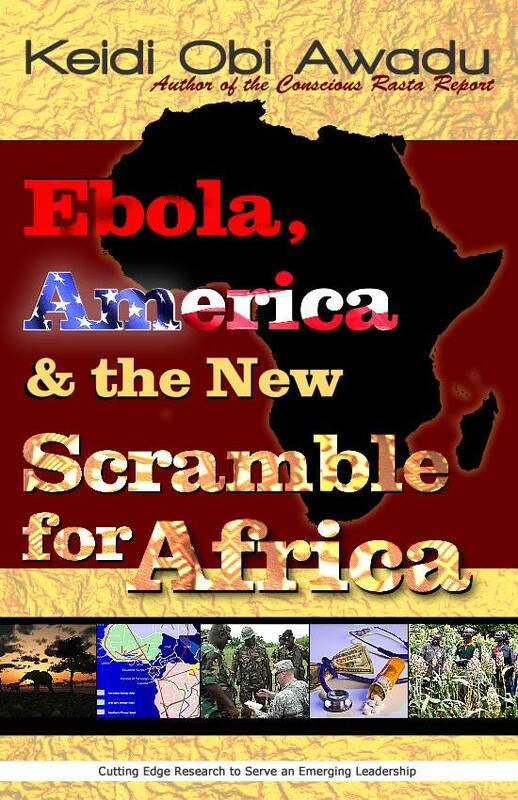 For the ebook version, click here to download. Use the following button for the print edition. 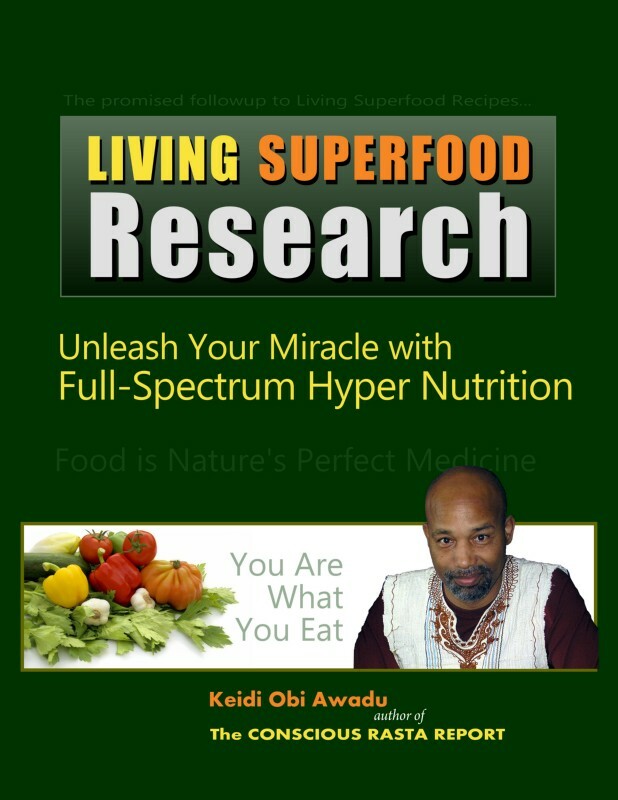 Living Superfood Recipes - This the highly acclaimed collection of 110 of the greatest living food recipes from my GW Carver kitchen laboratory. These dishes contain a full spectrum of healing nutrients, all intended to jumpstart all of your body's natural healing and restoration processes. Medicine has never tasted like this before? 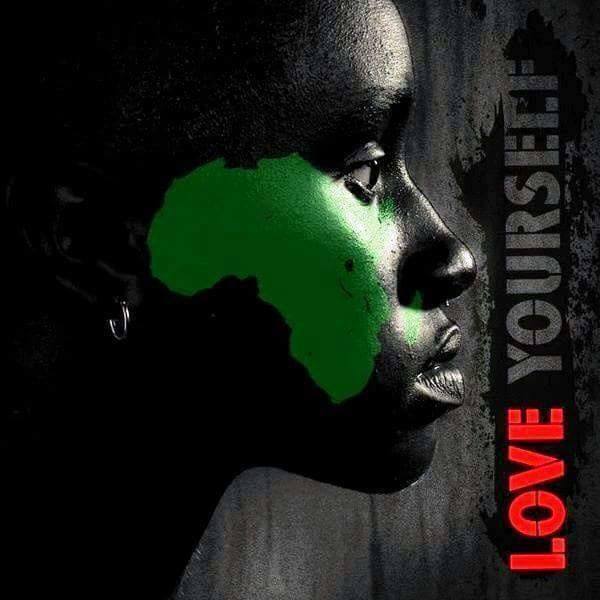 Please support our ongoing Living In Black Fund Drive to support the continued work of LIBRadio, LIBtv, Black Star Media Global, the Conscious Rasta Press and Africa Destiny. Your contributions have been the life blood for this group for nearly 14 years. Yes, I carry the weight of most of the expenses. Yet, I could never have persisted for so long if not for the generosity, commitment and investment of you who believe in this multiple-award-winning communications channel. T here are those who never believed in our mission when we first launched in 2002. We have persisted through many storms, attacks from our enemies, financial recession and progressive burnouts. We will continue to survive and thrive because you believe in our mission. For you and for this destiny we are grateful. 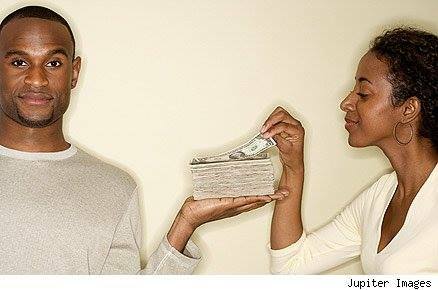 We will have lots of bonuses for all who contribute to our ongoing success. UBUNTU - I AM because WE are. Together we are an undefeatable force. Use the following link to make your contribution today. Ashe-Yooooo! You can make your donation on the first day of the month-long drive. You will get some really nice bonuses and the knowledge that you are investing in culturally conscious communications that can and DO transform many lives. Become an LIB subscribing supporter! I've taken another break from the daily broadcasts but have not stopped working intensely every day to bring quality information to our people. You will hear me doing a lot more radio interviews on other radio stations over the coming months. If you are an LIB subscriber, you will recieve bonus materials from our archives, DVD's and exclusive access to invitations, seminars and online activities. We need the support more than ever. Look for a monthly DVD documentary illustrating the critical work ahead. Use the following dropdown for subscription options. Or you can make a one-time donation using the following button. You will receive some wonderful bonuses for your support. We can all build together! To order by mail, make your check payable to BLACK STAR MEDIA and mail to: Black Star Media CTM-DVD209, 9515 W. Cherrydale Ct., Las Vegas NV 89147-8340. Single copy purchase include $14.99 for each copy plus $4 P&H ($18.99 total).